Spring is finally here, well trying to make an appearance, even if it’s still a little cold! 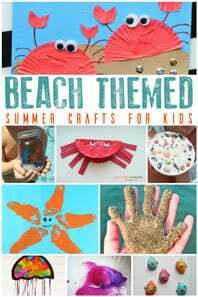 So, it’s the perfect time to start thinking about Spring Crafts for toddlers to keep them entertained even on the rainiest day. 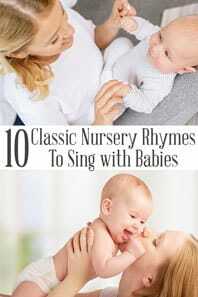 As you craft with your toddlers this spring some along with some of these Classic Spring Nursery Rhymes. 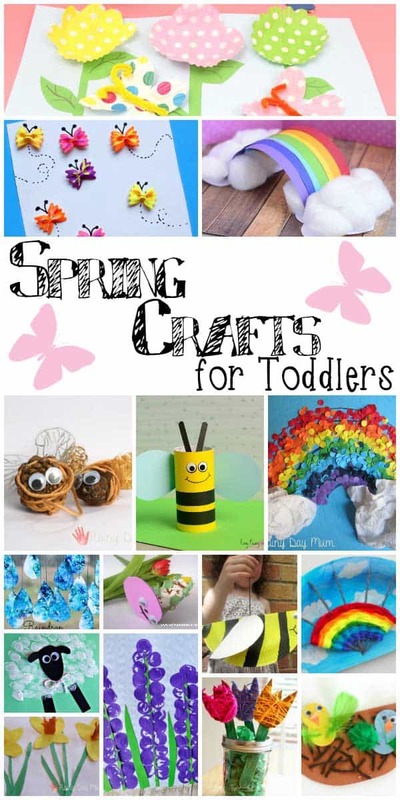 There are so many different areas that we associate with spring, from Frogs and Tadpoles to Lambs in the fields as well as the beautiful flowers and showers that come through the season as we journey from Winter through to Spring I’ve split up the spring crafts into different sections for you to find the perfect crafts for you and your toddlers to do this season. 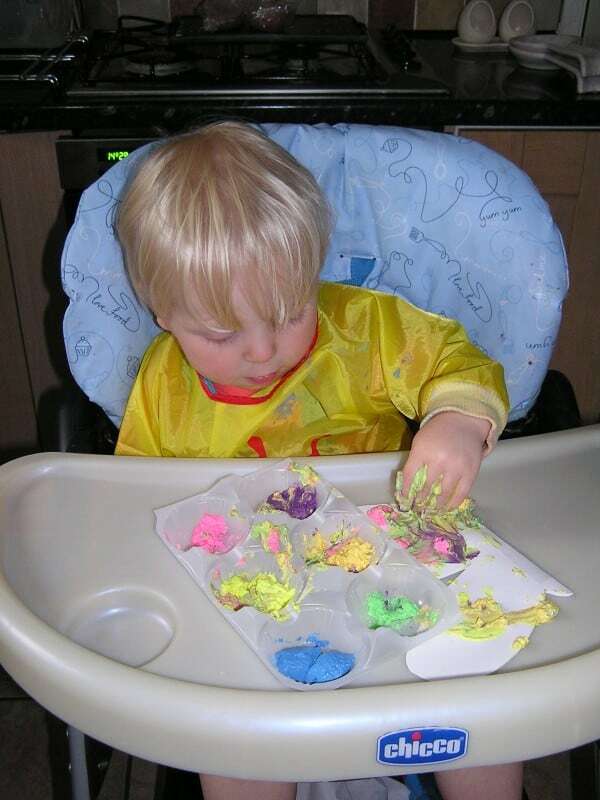 Looking for more Easter Specific Crafts for Toddlers then check out our Easter Activities and Crafts for Toddlers for 40+ ideas you can to do together. With sunshine and showers, there are sure to be plenty of rainbows this spring. 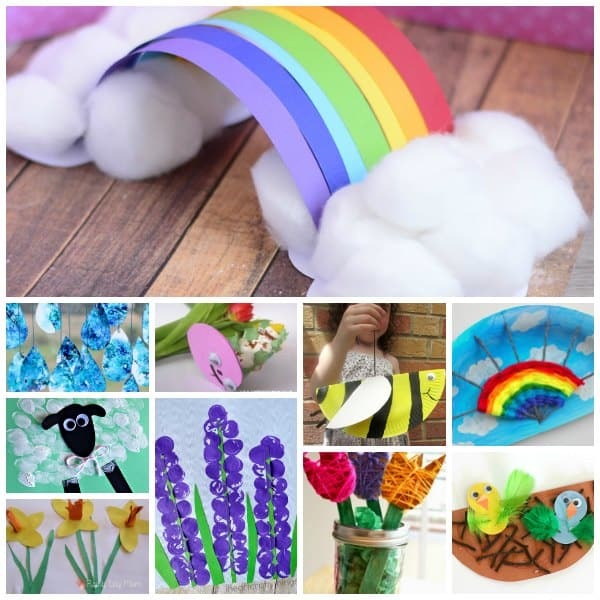 And although not technically restricted to Spring these rainbow crafts for toddlers are perfect to do on any Spring Day. 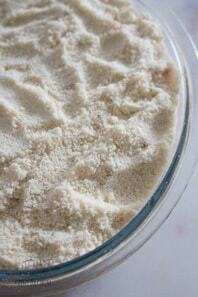 So here are our favourites to do with the youngest members of your family. Make your own Rainbow Confetti Picture a fun craft that combines fine motor skills and art to produce this lovely picture for the season. 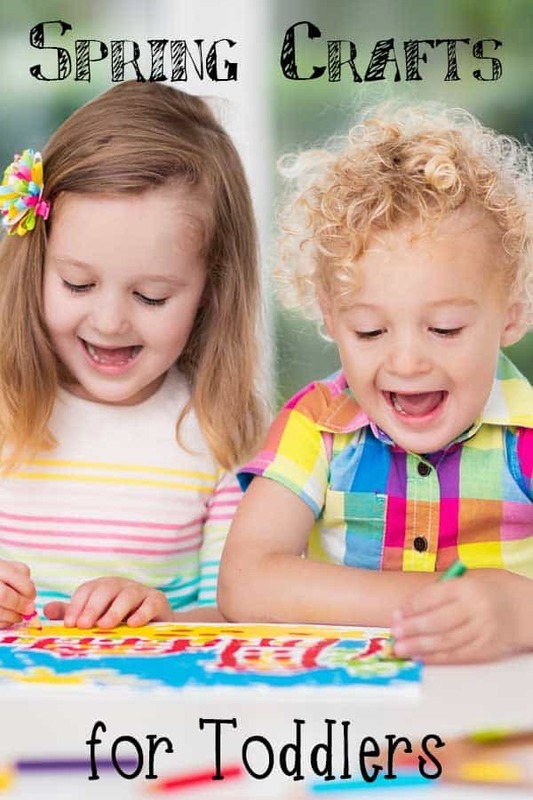 Thread a rainbow with this colourful rainbow activity from De Tout et de rien perfect for some more fine motor practice as well as looking great. This rainbow weaving activity looks fantastic and is easy to do from Pink Stripey Socks. Over on Easy Peasy Fun, you can find this simple to make 3D Paper Rainbow perfect for adding to the nature table this spring! Perfect to hang in front of an open window as you start to air out this house in your spring cleaning these Rainbow Wind Catchers from A Pretty Cool Life will look fantastic. This messy but extremely fun Rainbow marbling from Hello Wonderful is perfect for some Rainbow Themed Process Art or rainbow sensory art from your toddlers. You can’t have a rainbow without rain and these rain drop sun catchers from Pre-K Pages although not technically rainbow would be perfect to add to the display with the Rainbow Wind Catchers. Spring for me is all about the flowers, seeing those first flowers while walking the dog or doing the school run really reminds me of the warmer days that are (hopefully) coming soon! Make your own 3D Spring Flower Picture with these simple to make 3D Daffodils. An alternative 3D Spring picture is this 3D spring garden from Chloe Just Me – don’t you just love the butterfly she has added? This alternative Flower Collage from Red Ted Art is perfect for some spring time flower crafting and why don’t you take it outside to craft like Maggy does with her kids. After the daffodils have bloomed the Hyacinth’s arrive in the garden and these Bottle Cap Hyacinths from I Heart Crafty Things are beautiful and would be easy to to together. Of course, spring flowers don’t stop there so why not continue the seasonal flowers with these Yarn Wrapped Tulips from School Time Snippets. No matter what season we are in our lawn always seems to be full of dandelions and these thumbprint dandelions from Glued to my Crafts would be easy to do with toddlers. We always have a stack of paper plates for crafting and left over from parties and these Paper Plate Flowers from The Resourceful Mama are easy to do and practice scissor skills as well. Designed for Mothers Day this Spring themed Flower Card is perfect for toddlers – well any age at all and is so easy to make as well. 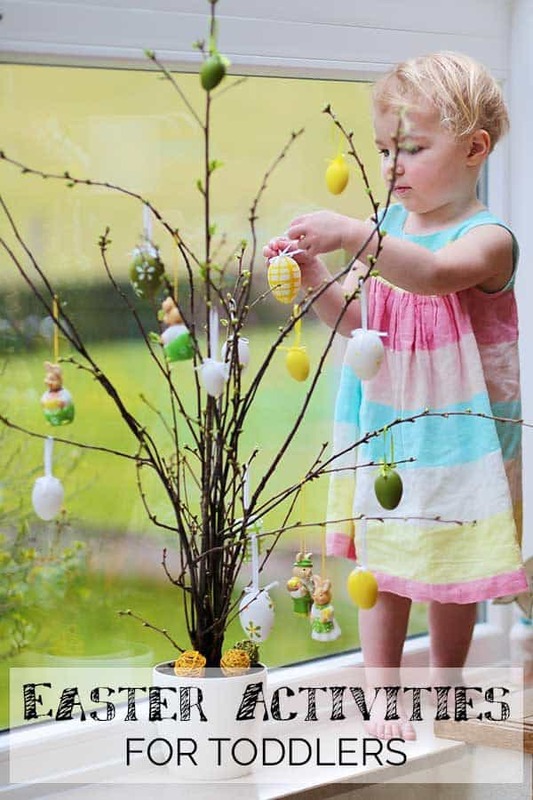 So not technically a “FLOWER CRAFT” these egg heads from Nurturestore are something that I relate to Spring so much that I couldn’t not include them and they are perfect for toddlers to do at home with you. 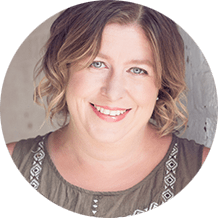 Fellow Mum Jamie who founded the fantastic Hands-on As We Grow has put together a set of activity plans for Toddlers called Play, and they are the perfect way for busy mums to plan their days with toddlers. 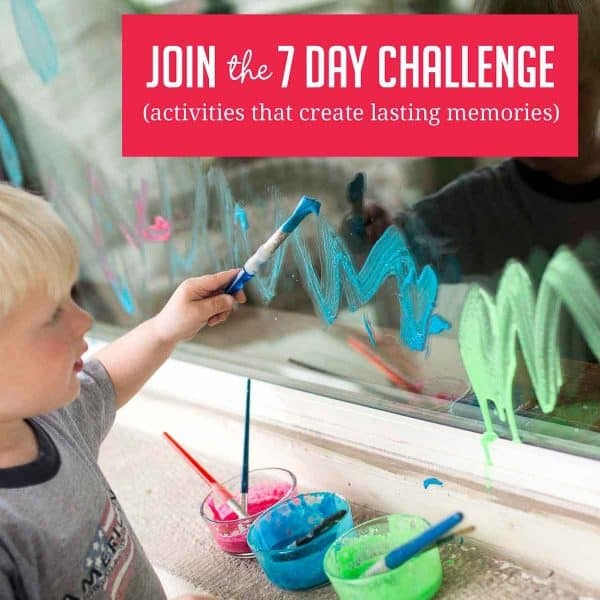 With 5 weeks of activity plans plus 5 extra bonus lists of suitable activities that you can dip into when you need even more this is an ideal resource for you to have at home to help you out and your children learn and play with you. One of our favourite things to do in spring is go to the farm and see all the lambs and insects that seem to enjoy spring as much as we do. 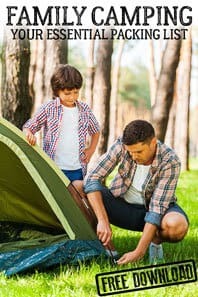 These crafts celebrate these trips. 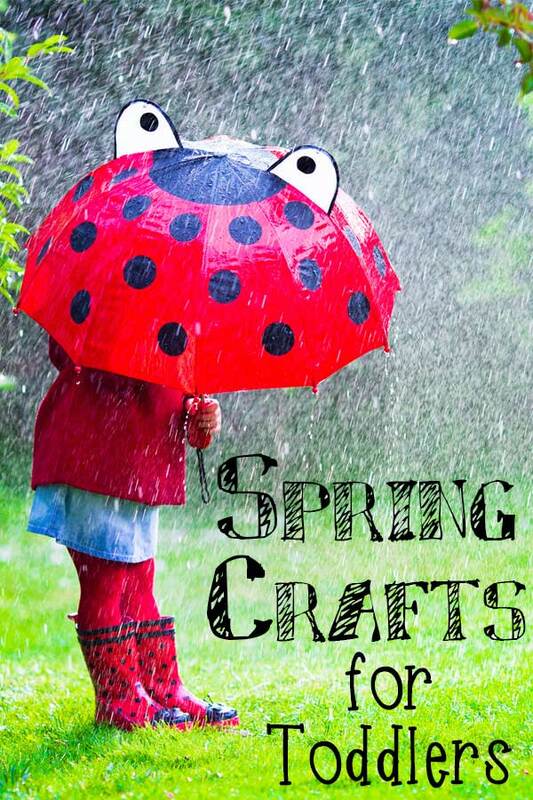 Of course all the farm animals and insects are overshadowed by FROGS for our family but there is plenty more to see check out these spring animal inspired crafts for you and your toddlers to make. 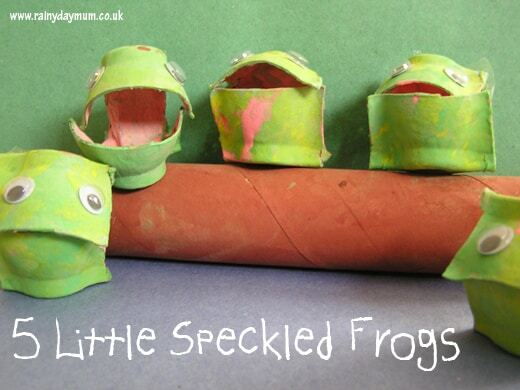 Make your own Frogs that can spring and hop around perfect for springtime nursery rhymes as well. As the weather warms up the bees start to appear again after winter hibernation and these pine cone bees are easy to make and perfect for after a nature walk. Of course, you could also make a bouncing bee – to fly from flower to flower in your garden. These cardboard tube bumble bees from Easy Peasy and Fun look cute and they are so simple to make. Spring isn’t complete without lambs in the field and this little lamb is easy to make with toddlers and preschoolers. That’s not the only way to make some lambs – check out these cute little Finger Print Lambs from Crafty Morning – ideal for some DIY Easter Cards don’t you think! Of course, lambs, bees and frogs aren’t the only animals in spring we mustn’t forget the birds. This Baby Bird and Nest Craft from Buggy and Buddy is so cute and would be perfect to make if you and your toddler are lucky enough to see some birds nesting this spring. One way you can make it easier to see birds nesting is to encourage them to come to you garden and this Birdhouse Craft from Craft Create Cook would look good in your garden is easy for toddlers to make and will get those birds in. 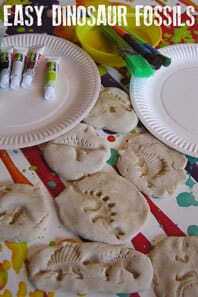 As spring goes on before long the weather warms up and flying through the air and hundreds of butterflies – so why not get crafty with your toddler making some Finger Print Butterflies. 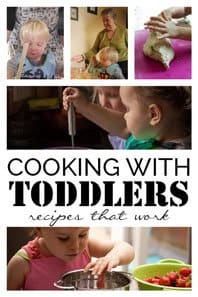 Pasta is always a good crafting material for young tots – especially those that like to put everything in their mouths. So these bow tie butterflies from Crafty Morning are ideal. With butterflies come caterpillars and this toddler friendly caterpillar craft from We Made That is great to do with your little tots this time of year. We love creating these cress caterpillars every year they are the perfect spring craft to make with toddlers – a little bit of animals and a little bit of growing. Just don’t forget to trim and eat the cress too it does taste delicious. Thanks for including our flowers!! !